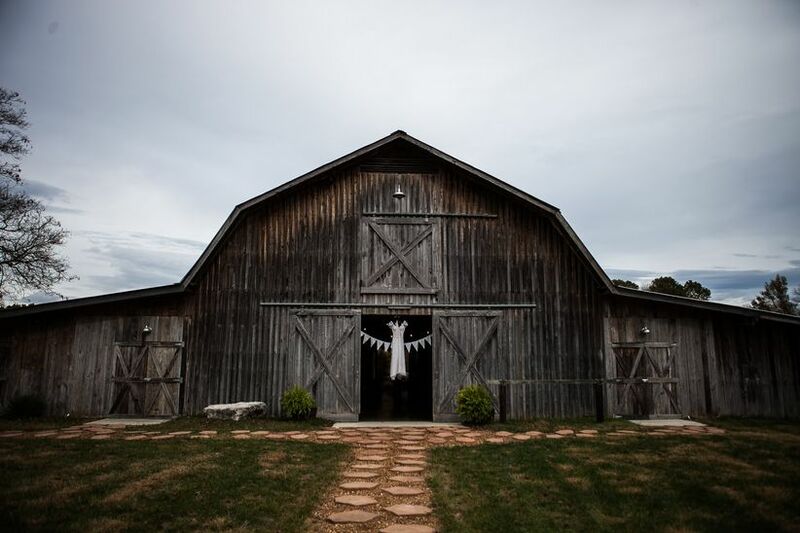 Find the perfect backdrop to your rustic-chic Nashville wedding with our handy, all-encompassing guide to Nashville’s barn wedding venues. 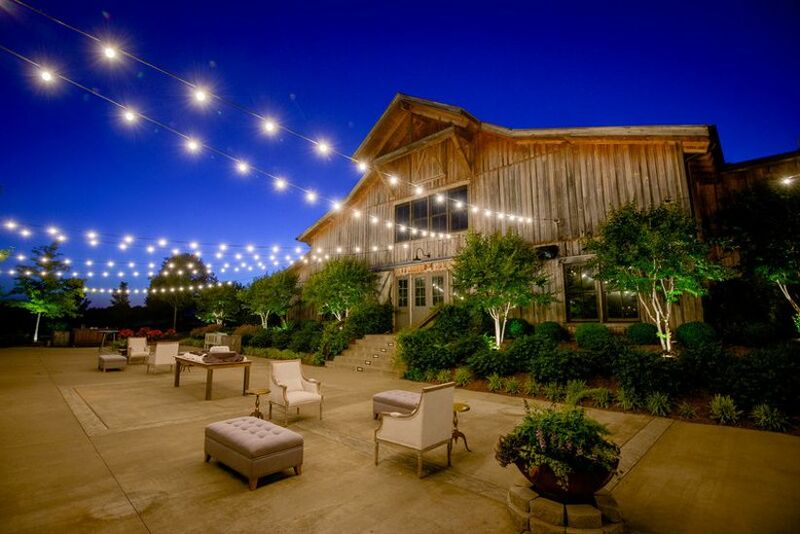 There are lots of reasons why barn wedding venues in Nashville, TN are so hot right now. First of all, they’re ideal for couples hoping to throw an event with rustic charm—a very popular style for today’s weddings. 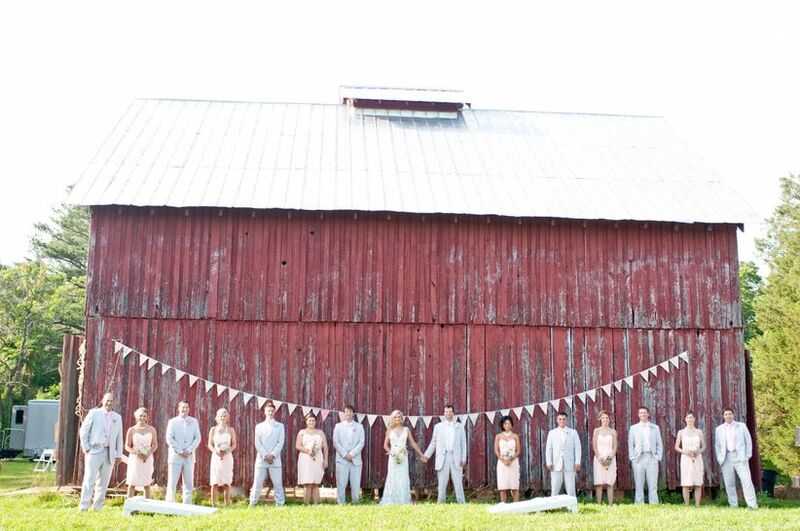 Barn and farm venues also often offer beautiful scenery—perfect for stunning photo backdrops and ceremony spaces. And, perhaps best of all, barn venues’ laid-back vibes give guests permission to let their hair down and party! 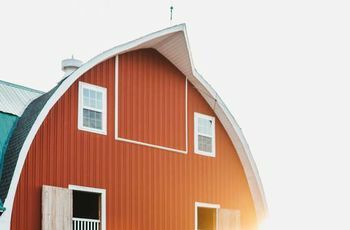 Fortunately for Tennesseans, there are many gorgeous barn and farm venues throughout the Nashville, Tennessee area, and we’ve selected a few of our favorites to inspire you! Check out some of our favorite barn wedding venues in Nashville, TN to make all your rustic wedding dreams come true! 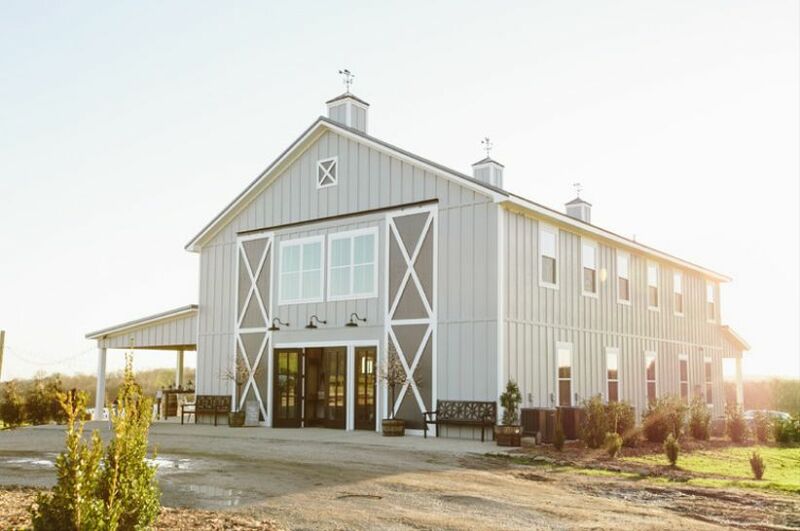 One of the most sought-after Nashville wedding venues (in fact, it’s one of our favorite barn wedding venues in the country! ), Legacy Farms is located about a half-hour outside of the city in Lebanon, Tennessee. This venue features an Event Center that can host about 300 wedding guests, as well as historic buildings from the 1800s, gorgeous courtyards, and a serene pond. The farm offers on-site catering and recently opened Heritage Hall, a new space with lots of Southern charm. 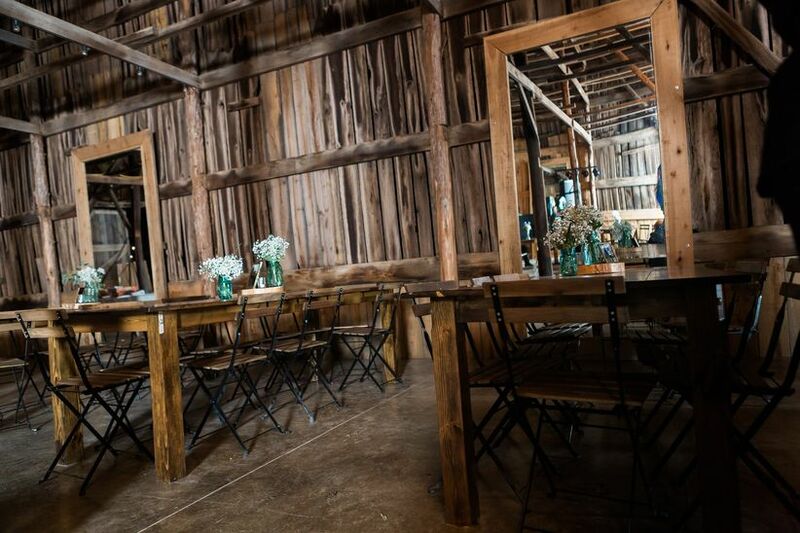 If you’re looking for a barn wedding venue that combines a modern vibe with rustic style, you’ll love The Loveless Barn. Couples love how there are different locations for ceremony, cocktail hour, and reception—in particular the pretty outdoor courtyard where ceremonies are held. The barn is an ideal “blank slate” venue where you can let your creativity and imagination run wild with flowers, lighting, and décor! 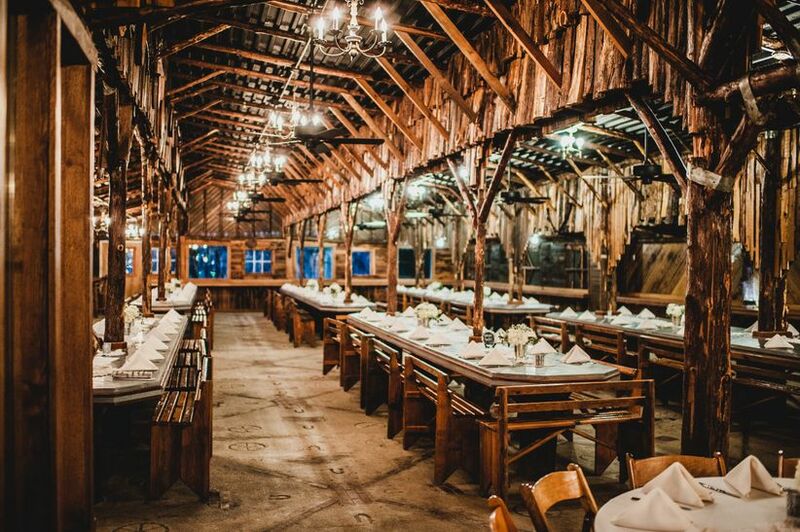 This all-inclusive barn wedding venue is open year-round for stunning and scenic weddings. You’ll find 40 acres of rolling landscape, a ceremony pavilion, outdoor cocktail area and indoor reception barn. The venue has a capacity of 240 guests, and offers a gorgeous waterfront setting for photos. As an added bonus, Mint Springs Farm has a lovely bridal suite and groom’s loft to host all of the pre-wedding getting-ready fun. 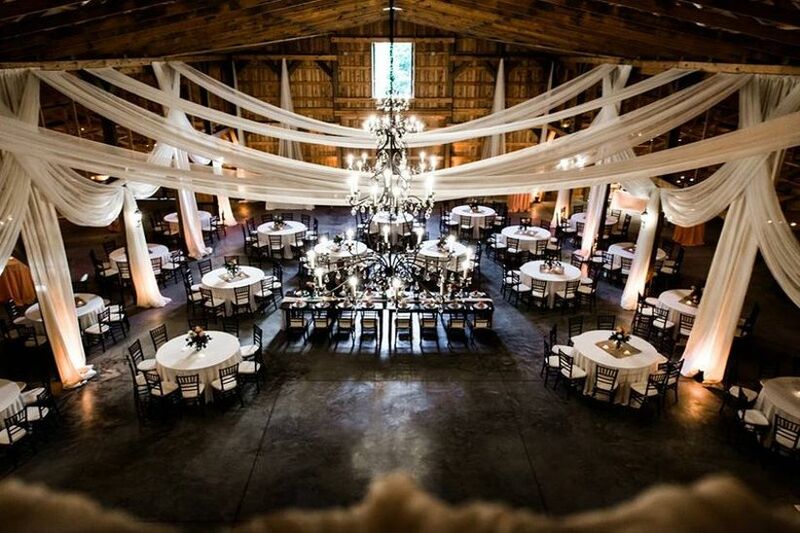 Located in nearby Charlotte, Tennessee, Front Porch Farms is among the most sought-after barn wedding venues and has played host to many celebrity weddings including Miranda Lambert and Blake Shelton, and Jared Followill of Kings of Leon and model Martha Patterson. It’s a popular destination wedding venue for couples from around the country, and offers a large pavilion, two guest houses, gazebos and a rustic barn. This venue is also a favorite of wedding photographers, as it offers a variety of jaw-dropping photo backdrops. For a relaxed and country-style barn wedding, Smiley Hollow is a perfect setting. Located in Ridgetop, Tennessee, this family-owned farm venue offers in-house catering and couples praise it for being budget-friendly. 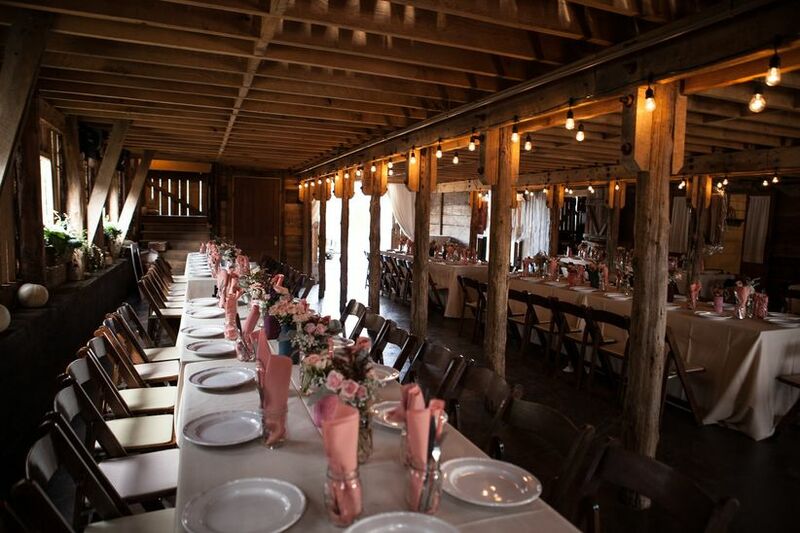 The barn is absolutely picturesque and features lots of rustic charm (hello, twinkle lights!). 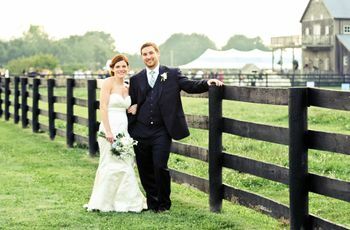 One of the more intimate barn wedding venues in Nashville, TN listed here, Brightfield Farm has a capacity of 100 guests and offers several cozy venue options you and your guests will love. The most popular wedding location is the flower garden, which has a “secret garden” feel that couples love. There’s also the serene paddock, which is a woodsier setting for ceremonies. 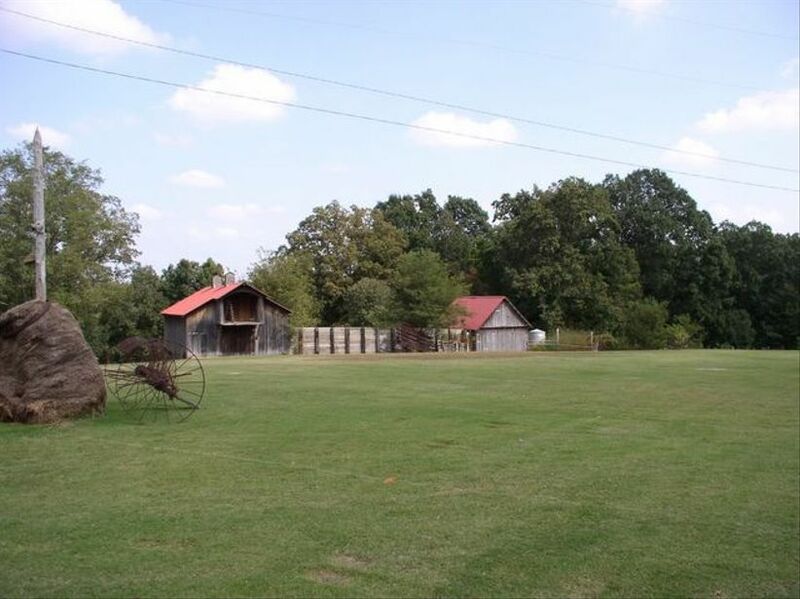 And of course, the Red Tobacco Barn is the ideal setting for a barn wedding in Nashville. The barn is surrounded by a field for added outdoor space. The 10,000 square foot cedar wood barn is the centerpiece of this scenic 25-acre property located in Murfreesboro, Tennessee. It’s a space large enough to host weddings with a 200-person guest count, and features large sliding doors to easily move from indoors out. Ceremonies take place in the outdoor pavilion, surrounded by stately trees. There’s also a bridal cottage and groom’s quarters on site where you and your crew can get ready before the big day. This Couples’ Choice Award-winning barn wedding venue in Spring Hill effortlessly combines rustic style with luxurious amenities. Host your ceremony on the expansive lawn, featuring views of the farm, and your reception in the 5,800 square foot, climate-controlled barn. 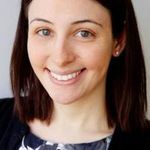 There’s space for up to 200 guests, and there’s an open vendor policy so you can hire any licensed wedding pros you choose. 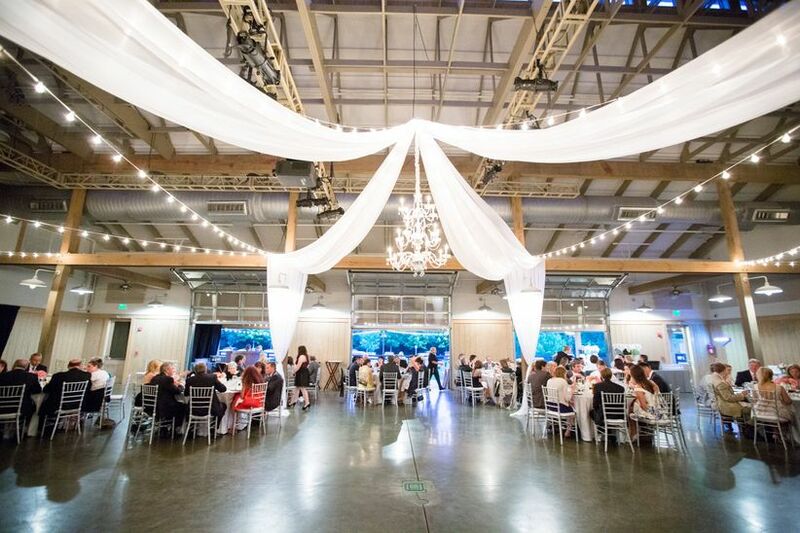 And for added convenience, rentals such as custom farm tables, cross-back chairs, chandeliers, and more, are available through the venue. 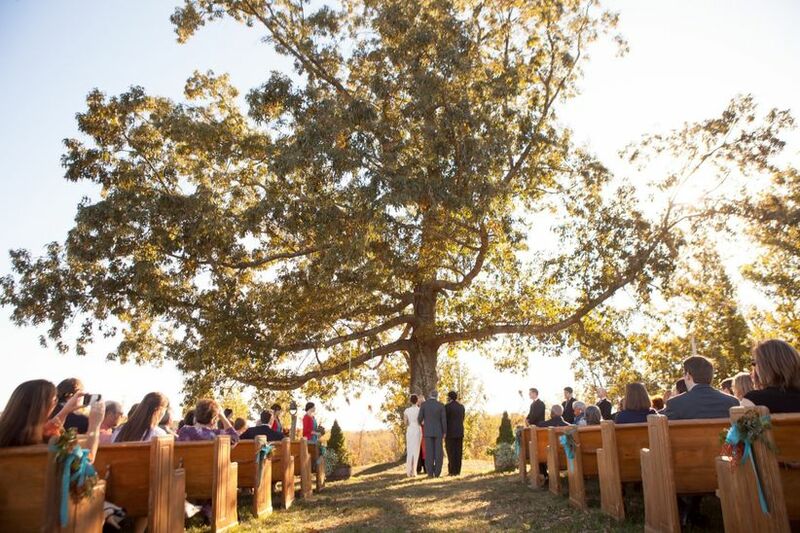 This is one of the most ideal barn wedding venues in the Nashville, TN area for outdoorsy couples. The creekside ceremony spot provides an ideal natural setting to say your vows with the flowing creek in the background. 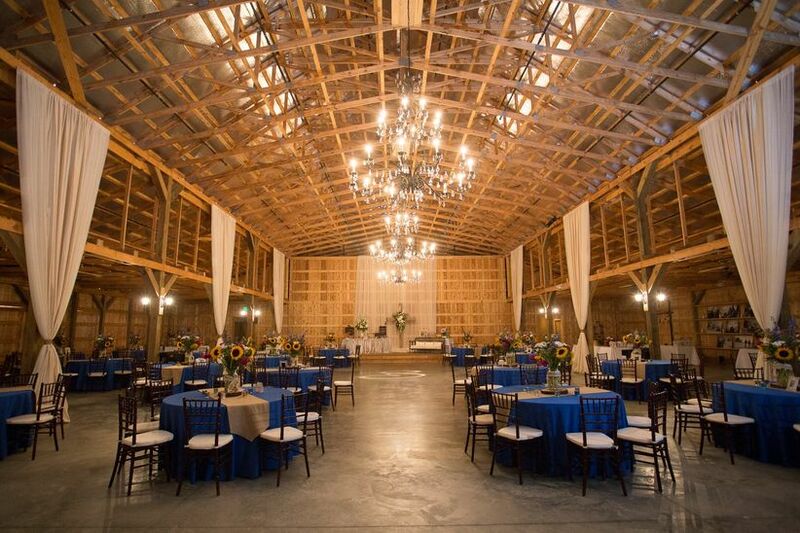 And the main barn seats 180 guests, and offers that rustic Southern charm that you’re dreaming of. Two covered patios offer additional space for ceremonies or receptions, and (major bonus!) three horses reside on the property—you can include them in your photos or even ride into your ceremony on the back of one! Located in Murfreesboro, Tennessee (just 35 minutes from Nashville airport! ), this secluded and serene barn venue features the two-level Maples Barn with its majestic cathedral ceilings. 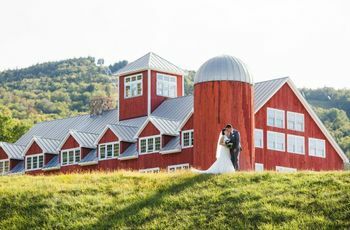 The 100-year-old barn can hold up to 150 guests, and can host both the ceremony and reception (though there’s outdoor space for ceremonies as well). 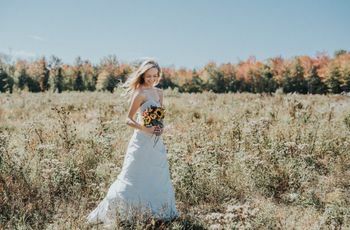 You’ll also love the bridal suite (located right inside the barn), as well as “The Bunk House”—another getting-ready area complete with a fire pit located in a log cabin. This remodeled barn wedding venue in Franklin is surrounded by hills and the West Harpeth River, with a creek running through the property. There are many outdoor and indoor spaces to host your wedding in a gorgeous natural setting that your guests will love. This venue offers in-house catering and provides all rentals. Oh, Southall Meadows is a pet-friendly venue, too!